For incoordination between the liver and spleen,diarrhea abdominal pain, chronic non-specific ulcerative colitis see the above symptoms. Regulating the function of the liver and spleen,relieving dirrhea with asthringents,relieving pain. Mume Fruit,Dried Ginger,Coptis chinensis Golden Thread,Cucklandia Root,Poppy capsule,Corydalis tuber. Coated condensed pellets, removed and the coating was yellow-brown; bitter and slightly spicy. 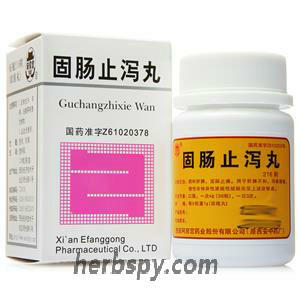 For oral use after meals,36 pills thrice daily or by medical ordor. 1.Avoid spicy,cold, greasy food during taking this product. Stage Food and Drug Administration Approval number:Z61020378.